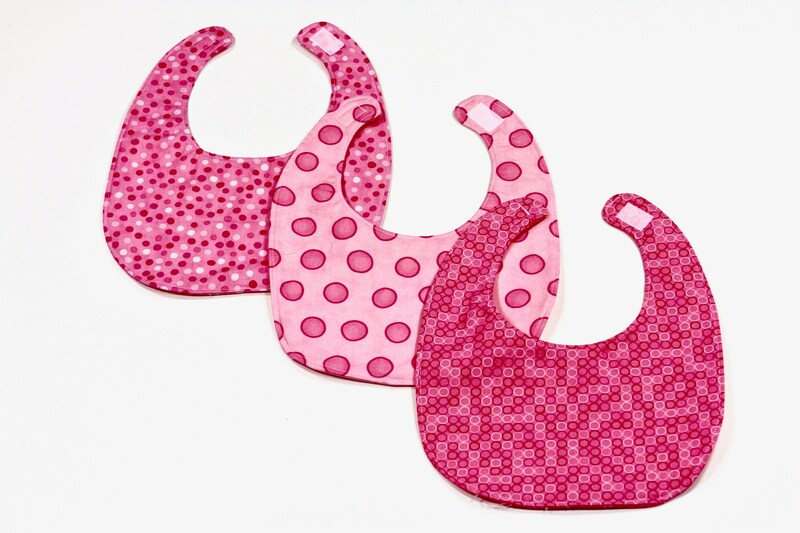 This handmade gift pack includes three baby bibs featuring different patterns and shades of pink. The velcro closure is quick and easy! This pack makes a great holiday gift!